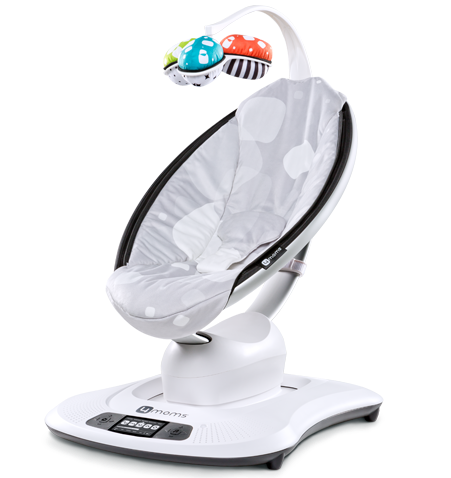 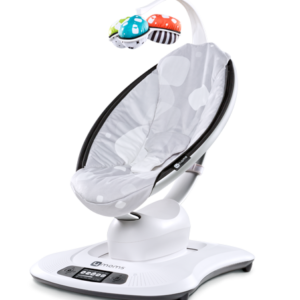 Motion sensors measure the movements mom and dads make as they soothe their babies and then replicated those motions in the mamaRoo. 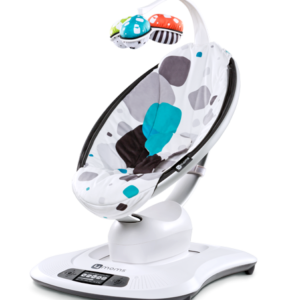 Select from five unique motions (car ride, kangaroo, tree swing, rock a bye, wave) and five speed options. 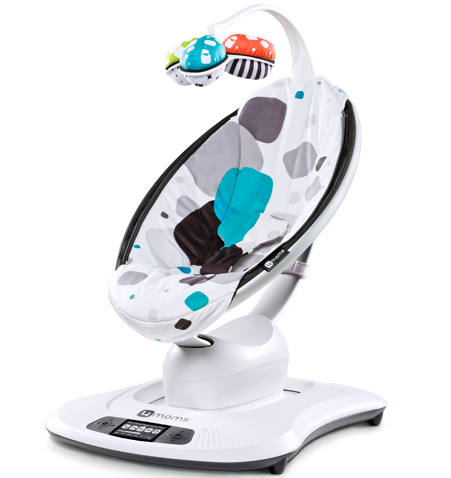 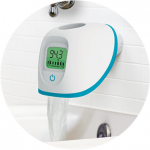 Choose from four built-in sounds or connect it to any MP3 device (Bluetooth enabled). 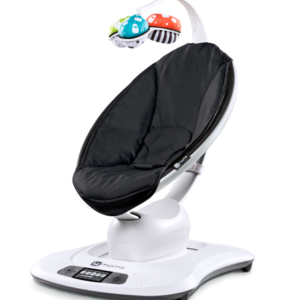 AC adapter (no batteries required) The seat reclines to multiple positions to allow baby to lie back and relax or sit up and play. 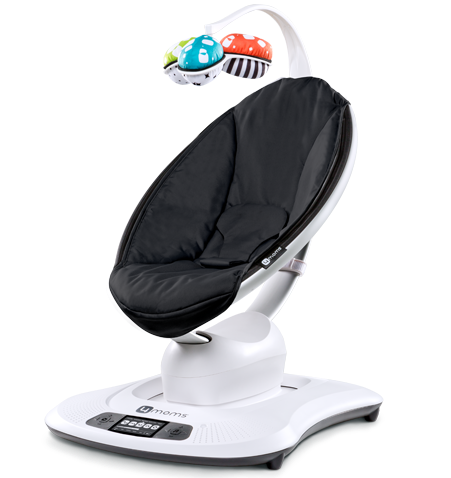 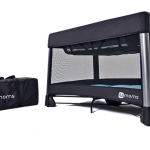 For use from birth until 25 pounds or until the child can sit up unassisted.